You may be familiar with Ken Sharp as the author of some pretty fine books including Starting Over: The Making of John Lennon and Yoko Ono’s Double Fantasy and his quintessential power pop interview books entitled Play On! Power Pop Heroes (Volumes I & II). With New Mourning, Sharp resumes his recording career with his first record in more than nine years. Ken has assembled an all-star line-up for New Mourning with Rick Springfield, Rob Bonfiglio, Preston Niles and Wally Stocker. Each make key contributions throughout the recording however, it’s Sharp’s songwriting that makes New Mourning worth a listen or three. The poppy “Let’s Be Friends” gets things off to a solid start. Speaking of solid starts, “Solid Ground” follows with an irresistible Motown vibe that’ll have you practicing your Temptations moves in the rear view mirror. “The Worst” sounds almost as if it could be an outtake from Lennon’s Double Fantasy. When Sharp slows things down with the introspective “Haunts Me”, one can really appreciate his vocal abilities. The sweet quality of his voice works perfectly for slower songs like this one. However, my favorite track on New Mourning has to be “I Should Have Known”. Thematically in keeping with the title of the LP, this little slice of alt-country comes out of nowhere with irresistible petal steel courtesy of Rob Bonfiglio and a killer hook that makes this track special. In fact, “I Should Have Known” is one of my favorite songs of 2016 so far. 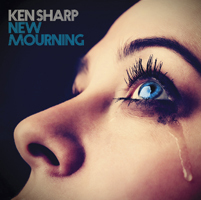 With Sharp’s top-notch song writing, New Mourning’s soaring harmonies and fine musicianship, this latest release is a real winner. 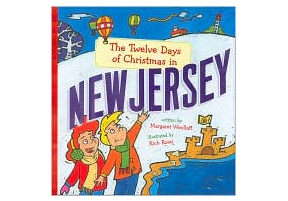 GET IT HERE.